I haven't managed to do any sewing today yet. I have no new blocks to show, or progress to report. So will it be another Random Cat Picture Day? Or time to find an old photo I haven't written about yet? Or just a rant about nothing? I hate writer's block. It's so... oh I can't even think of the right word for it, grrr. 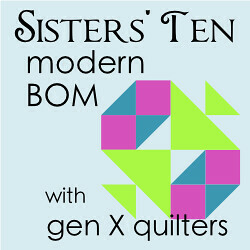 And so I've decided that instead, I'll have quilter's block. It sounds more fun. I mean, if somebody says to you, "I have writer's block", do you automatically visualise what that looks like? I do. It's a blank piece of paper. Actually, a blank piece of paper devoid of words (as opposed to a blank piece of paper devoid of drawings/doodles/designs/etc). So if that same person - or somebody else, it really doesn't matter - says "I have quilter's block", what is it you see, in your mind? Excuse me while I go research this ...... ...... ....... ....... ...... ...... ......... ...... ........ ...... Okay, I'm back. I'm a lazy researcher, so only managed two pages of Google (which is pretty good for me, as I usually don't go past the first). 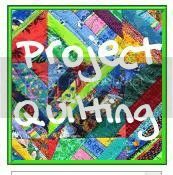 I found a blog called Quilter's Block, several blog posts titled Quilter's Block - it seems I'm not the first and only one to have it - but no reference to it as an actual name for a block. Hey, did I just come up with something new? 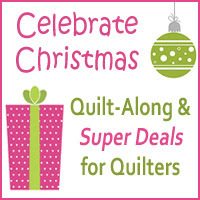 * The fantastic thing about the Quilter's Block block is that you can make it any size you like. Yup. 'Cos it's just a square. 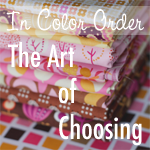 You can use solids, prints, or a combination. It's just so darn versatile!